Although big cats no longer prowl the 6,295-acre swath of the Nantahala National Forest dubbed Panthertown Valley, it’s still easy to imagine the namesake predators roaming the sylvan trails. One of the most stunning and ruggedly wild tracts of the massive national forest is Panthertown Valley—a place that has been referred to as the Yosemite of the East and one that is home to an unimaginably varied backcountry loaded with craggy granite cliffs, plunging ravines, soaring 4,000-foot peaks, and waterfalls spilling into private plunge pools. The recreation area is open to hiking, backpacking, mountain biking, fishing, and horseback riding—and despite increase popularity in recent years, Panthertown’s rugged trails are still steeped in solitude. 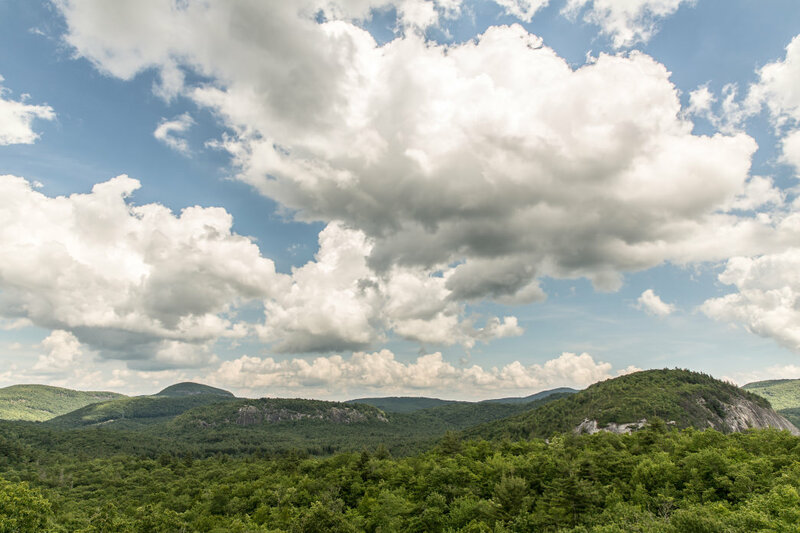 Get a taste of both the scope and the ruggedness of Panthertown Valley—without having to stray far from the trailhead—at Salt Rock Gap, with prime views of Big Green and Little Green mountains, just a quarter mile from the valley’s Salt Rock Gap parking area. 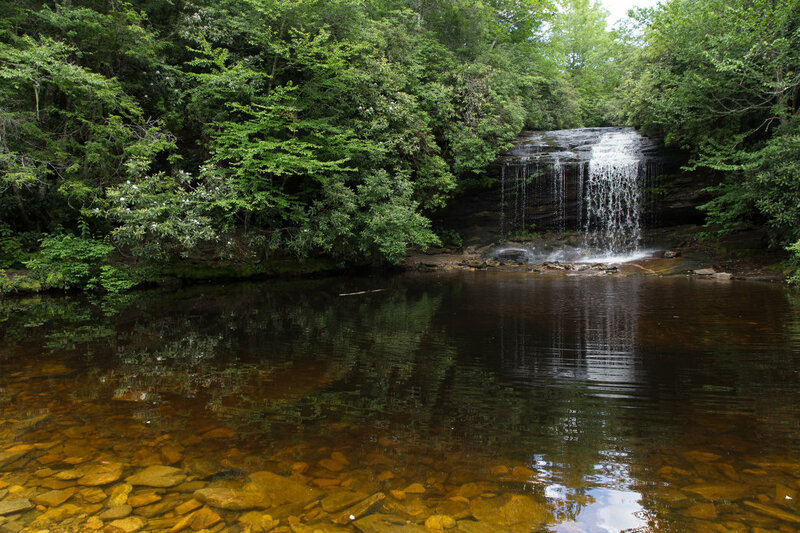 Although the Panthertown is teeming with stunningly secluded waterfalls, Schoolhouse Falls is undoubtedly one of the area’s most iconic landmarks—and also one of the most easily accessible. The highly photogenic 25-foot cascade tumbles into a stunning, tannin-tinted pool, ideal for restorative soaks on steamy summer days. While Schoolhouse Falls is easily added to a multi-day Panthertown itinerary, the flume is also accessible from the trailheads dotting the eastern and western parts of the valley, requiring a 1.4-mile hike from the Cold Mountain Gap trailhead or a 2.4-mile trip from the Salt Rock Gap trailhead. Another of Panthertown Valley’s most inviting hangouts is the aptly named Sandbar Pool, a generous swath of sand dotting Panthertown Creek, reachable from the east or the west side of the valley, on the Panthertown Valley trail, a 3.3-mile thoroughfare splintered with foot paths, linking the Salt Rock Gap and Cold Mountain Gap trailheads. From sunken stream valleys to looming peaks, explore Panthertown’s diversity of landscapes with a trip to another of the wilderness area’s more stunning features—the Great Wall of Panthertown, a massive 300-foot granite face that extends for nearly a mile. Explore the looming wall along the 1.6-mile Great Wall Trail, or get a bird’s eye view from the soaring cliff face atop 4,200-foot Big Green Mountain, courtesy of a slender footpath accessible from the thickly forested summit. Less than a century ago, Panthertown’s thickly forested backcountry looked far different—the landscape had largely been converted to pastureland and the ruggedly wild valley was cleared out by loggers. In the 1960s, the area was replanted with pine trees in an attempt to convert the area into mountain resort. 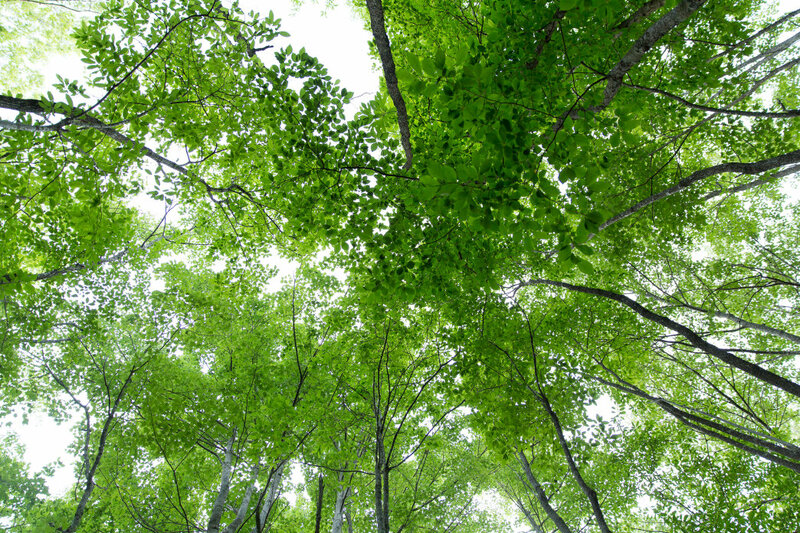 However, after changing hands several times, the sizeable tract of land was ultimately purchased by the Nature Conservancy in 1989 and handed over to the U.S. Forest Service. While much of the wilderness is new growth, some of the Panthertown’s primary forest remains, including groves of eastern hemlock and yellow birch. The area remains a hub for endemic flora and fauna, designated as a Blue Ridge Natural Heritage Area. While the namesake panthers may have disappeared, black bears, bobcats, and coyotes still roam the extensive backcountry. The protected area also harbors rare reclusive species, like hellbenders, which are massive salamanders which can grow up two-feet in size. Some of Panthertown Valley’s most stunning natural wonders are well removed from the beaten track—literally—and are accessible only along secondary footpaths, or after a little bushwhacking. Backcountry beauties like Pothole Falls, Mac’s Falls, and Hogback Mountain are reachable only after deviating onto less well-established forest thoroughfares. Aside from being embellished by tumbling waterfalls, the waterways lacing Panthertown are also loaded with native brook trout. The Eastern Fork of the Tuckaseigee River originates in Panthertown, and the massive tract of wilderness is also overlaid by the Panthertown, Greenland, and Flat creeks—adding up to 20 miles worth of fishable waters. Panthertown Creek is also one of the stops highlighted on the Western North Carolina Fly Fishing Trail, the country’s first and only fly-fishing trail. Although there is a conscious effort to minimize human impact on Panthertown Valley, there are nearly 30-miles of backcountry trails designated by the Forest Service and maintained by the nonprofit Friends of Panthertown. However, beyond the official trails identified by the Forest Service, Panthertown Valley is also laced with secondary footpaths, which can easily become maze-like and undiscernible to first-time visitors. Signage in Panthertown is also minimal, so the best bet for minimizing chances of getting lost is with a reliable guide. The definitive map to the area is Burt Kornegay’s A Guide’s Guide to Panthertown, and detailed trail information is also available from the Friends of Panthertown. In order to preserve Panthertown Valley’s ruggedly remote appeal, there are no services available in the recreation area. Visitors should plan to arrive overly prepared, and follow Leave No Trace guidelines for backcountry travel to minimize impacts on the wilderness. Originally written by RootsRated for Jackson County Tourism Development Authority. Hiking Yellow Mountain: The Toughest Hike in Western Carolina?